"This also begins a series of songs I'll be putting out through 2019. Holidays are tough and I often write music to try to understand them, or listen to music to buoy myself through. Over the past two years, I've been recording some holiday related songs that have been collecting dust, until now. Some are covers, some are originals, some are kind of out of character, but all of them were a lot of fun to make. 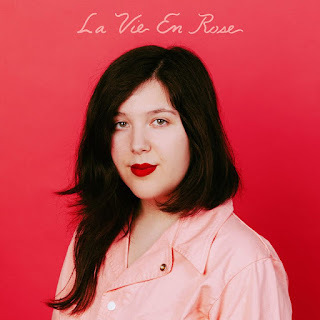 First up is a Velentine's Day cover of Edith Piaf's "La Vie En Rose." It's a completely lovely cover of a song I'm not quite familiar with, but, to my knowledge, it's a very straightforward version. It also fits perfectly in with the vibe we love from last year's Historian, so it's safe to say that we're on board. You can watch the lyric video for "La Vie En Rose" below. We're especially looking forward to Bruce Springsteen's birthday and Halloween. For more on Lucy Dacus, check out her website.